André’s string quartet Poissons d’Avril (April Fools) Op. 22 is a fun piece in which each part is in a different time signature and key. 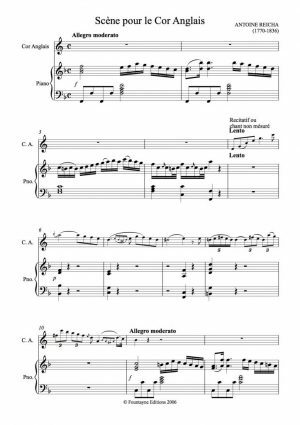 Clearly designed to make the players look like idiots and to baffle the listener, the rhythmic conflict of four different time signatures even made fools of one of the publishers, who made mistakes in the printing which means it would have been quite impossible to play their edition! This is not a polytonal piece, however: the use of different key signatures is purely cosmetic as the introduction of accidentals ensures there are no violent clashes.